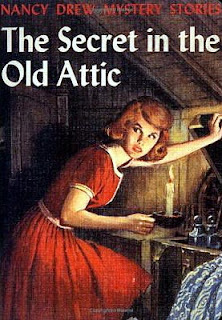 My favorite books when I was growing up were the Nancy Drew Mystery Stories written by Carolyn Keene. My books are long gone, but recently I decided to buy some Hardy Boys books for my grandson in an attempt to connect him to the “classics” of my generation. When I searched Amazon for them, I came across the Nancy Drew stories and decided I wanted to read some again. 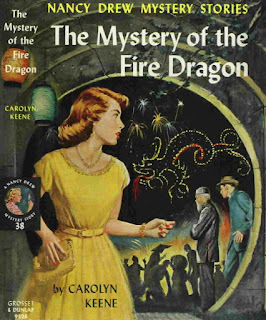 Out of curiosity, I googled Nancy Drew and Carolyn Keene. Who was this author, and what prompted her to write these revolutionary stories about a young girl detective? What I discovered was shocking. Instead of reading about the life of Carolyn Keene, I found out that she wasn’t a real person. Nope. Never existed. 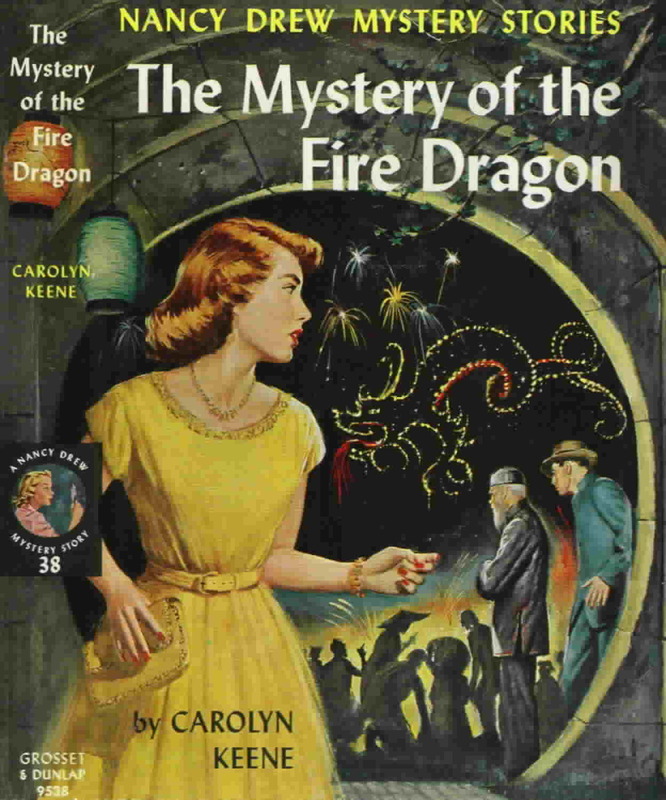 Instead, Carolyn Keene was a pseudonym for quite a few authors who wrote the series. The whole concept for the Nancy Drew stories came from a publisher named Edward Stratemeyer. Mr. Stratemeyer introduced the teenage female character in 1930 after the huge success of the Hardy Boys, another of his creations which began publication in 1927. Although he personally believed a girl’s place was in the home, the popularity of the Hardy Boys books among girl readers convinced him they would like a strong female heroine. 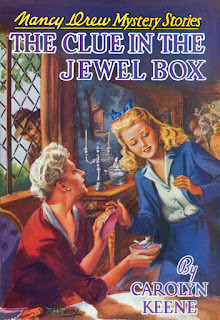 Nancy Drew books were an immediate success and often sold out in days, described in a 1934 Fortune magazine cover story as crashing a male genre, taking even the publisher by surprise. So who wrote the popular novels? Ghostwriters who signed contracts giving all rights to the publisher were paid $125 per book, which was double a month’s pay for the average newspaper reporter in the 1930’s. During the Depression, the fee was lowered to $100 and then to $75, but any income at that time was appreciated. Stratemeyer’s process for creating the Nancy Drew Books consisted of creating a detailed plot outline, drafting a manuscript, and editing the manuscript. Edward Stratemeyer and his daughters Harriet Adams and Edna Stratemeyer Squier wrote most of the outlines for the original Nancy Drew series until 1979. One of the writers who penned most of the stories based on the outlines was Mildred Wirt Benson. Others were Walter Karig, George Waller Jr., and Margaret Scherf, to name a few. The original series was comprised of 175 books published from 1930-2003. However, the stories were updated throughout the years, beginning in the 1950’s, to reflect changes of the times. Nancy herself changed over the years. 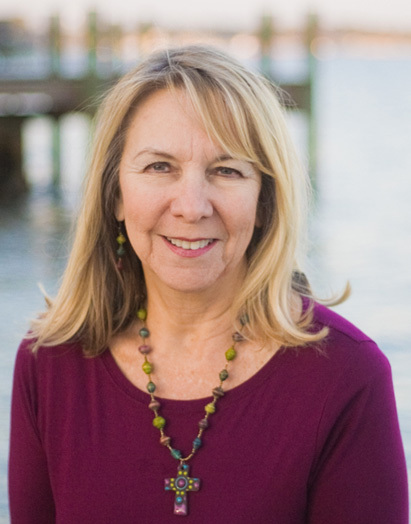 Originally a sixteen-year-old high school graduate, later she was an eighteen-year-old, then a professional woman in her 20’s. Even though she was modernized, Nancy was still depicted as a young woman who was strong, brave, curious and energetic, while maintaining high moral character. She was independent and confident, outspoken and authoritative. The publishers were aware that Nancy Drew was a role model for young girls and teens and tried to keep her image a positive one. Many famous women have credited her character as influencing their own. Maybe she influenced me too. What about you? Did you read Nancy Drew books? I read a bunch of the Nancy Drew books and even a couple of Hardy Boys, but my favorite books were ones about horses, like the The Black Stallion series. I read that whole series. I'm a bit surprised to learn that Carolyn Keene wasn't a real person. Me too, Vickie. And the author on the Hardy Boys books was a pseudonym too. 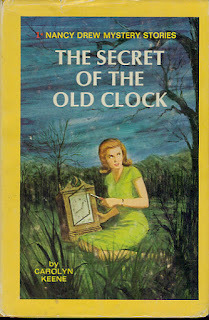 I loved Nancy Drew, and had a huge collection which I eventually sold on ebay. The debate on whether to include Nancy and the Hardy Boys in library collections continues. If they get young people interested in reading, they do belong in libraries. I didn't realize there was a debate. I do believe they belong in libraries, but the audience age is probably lower than it used to be. Fun post, Marilyn. I loved Nancy Drew. 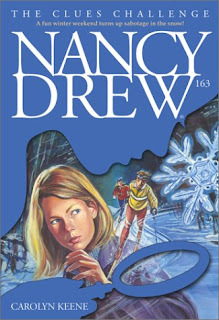 When my kids were smaller, we'd play the Nancy Drew computer games together--I love how Nancy Drew is still solving puzzles after all these years. Suzie, that's great. I didn't mention that there had been movies and other things based on Nancy Drew. What a wonderful post! I loved Nancy Drew and I still have all my copies. I'm a bit of a book hoarder. Good for you! I don't even know what happened to mine. I loved those books and have kept my collection. My Heather Reed Mystery Series was dubbed "Nancy Drew for the 90's!" What a great collection to have! Wish I still had mine. 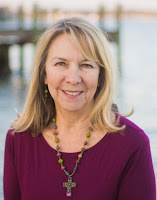 Hey Sharon, Thanks for the info and thanks for subscribing to my blog! I have the lighthouse passport book too and guess what? I forgot to bring it with me last summer when I went on a major lighthouse trip to Michigan! Good thing is, if you forget it, you can ask them to stamp a piece of paper for you that you can glue into your book later.